The makers of India’s first Stereoscopic 3D movie Haunted 3D now bring you India’s first true 3D thriller Dangerous Ishhq. 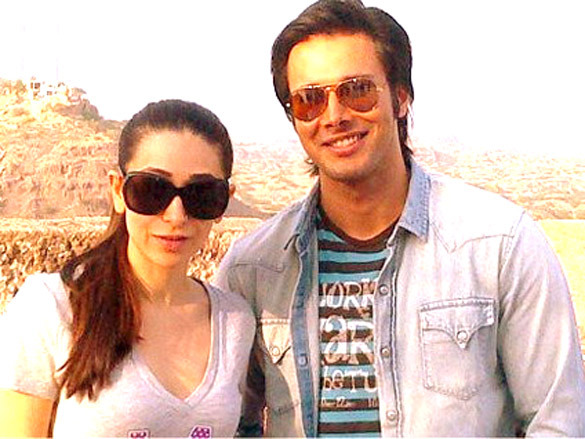 Supermodel Sanjana (Karisma Kapoor) and Rohan, son of one of the nation’s foremost business tycoons have been one of the most popular couples in the social circuit. When Sanjana decides against flying to Paris at the last minute- for a lucrative modeling assignment, she does so, not just because she cannot bear to stay away from her boyfriend Rohan, but more importantly because her instincts push her against going. But what her instincts cannot do is stop Rohan from getting kidnapped. The high profile kidnapping creates chaos in Sanjana’s life. The kidnappers demand INR 50 crores. The Police however believe that even paying the ransom will not bring Rohan back. Time is of utmost essence. Death stares Rohan in the eye. It is in this extreme trauma that Sanjana discovers something extraordinary. She sees visions of them together- sometime in the past- in different eras. She is confused initially but in her visions lay definitive clues that could lead her to save the love of her life. As she follows clue after clue she gets closer and sometimes further away from the love that has been eluding her through the ages. An enticing suspense thriller, Dangerous Ishhq is Sanjana’s tryst with Destiny. Would she be able to unravel the past to save her future? Would she be able to rescue her love and expose his true captors?